This web page has moved here. Gil Alterovitz's research interests involve development of novel, interdisciplinary approaches that bridge engineering and medicine. Specifically, he is involved in developing methods for studying biological networks and signal processing within proteomics. He initiated the Proteomics and Cellular Network Engineering Grouplet. His work has been published or presented in more than two dozen places- ranging from academic journals and books to international conferences (see publications). He has been invited to write the "Proteomics" section for the upcoming Wiley Encyclopedia of Biomedical Engineering (2006). He is editor of the new text: Systems Bioinformatics: An Engineering Case-Based Approach (2007). Gil Alterovitz has a special interest in spanning the engineering and biological domains in his research and publications. As part of his research, he also initiated collaborations with Mathworks (makers of Matlab) and Microsoft. He is active in research, initiating collaborative efforts, teaching, and mentoring. In 2005, he co-directed HST.480/6.092 (contact Gil Alterovitz for videos/course materials) with Prof. M. Ramoni and Prof. M. Kellis. That year, he was also an invited lecturer for graduate courses at Harvard Medical School, MIT, and Boston University. He has served as a research mentor for students from several universities including Harvard, MIT, Boston University, and Northeastern University. Recently, one of these mentored projects resulted in a national award for the student. 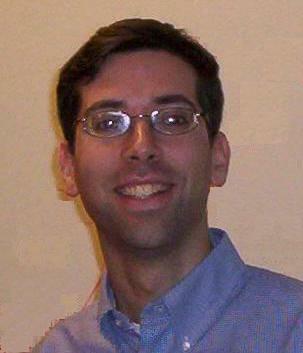 Gil Alterovitz earned a Ph.D. in Electrical and Biomedical Engineering at MIT. As a graduate student, he was awarded multiple fellowships, including the Whitaker Graduate Fellowship and the National Defense Science and Engineering Graduate Fellowship. His PhD thesis focused on Bayesian and signal processing methods with applications in proteomics (Advisors: Prof. M. Ramoni, Prof. I. Kohane). He obtained an S.M. degree at MIT in Electrical Engineering and Computer Science, where his thesis involved developing the Temporal Patient State Characterization method for clinical monitoring (Advisors: Prof. D. Staelin, Prof. J. Philip). A Fulbright winner, he spent a year in Canada (with the University of Toronto as his host institution) where he worked with Prof. C.W. Hogue on proteomics research as well as on studying US/Canada-related issues. In 2001, he was selected as one of approximately 20 international delegates to the Canada25 forum (to discuss healthcare/technology) covered by national CBC radio, a national TV special, and Canada's Maclean's. Gil Alterovitz is a graduate from Carnegie Mellon University with a B.S. degree in Electrical and Computer Engineering and a minor in Biomedical Engineering. Gil Alterovitz has worked at Motorola (where he won the Motorola Intellectual Property Award), at IBM, and as a consultant for several national clients. Alterovitz has appeared or has been cited for achievements in several national media outlets, including three separate editions of USA Today.